Happy Canada Day! And happy almost-Fourth of July! While we collectively enjoy our barbecues this weekend, let’s think about our own independence, shall we? Give that PDF a read, won’t you? It’s filled with the sort of everyday freedoms that empower us to be happy. 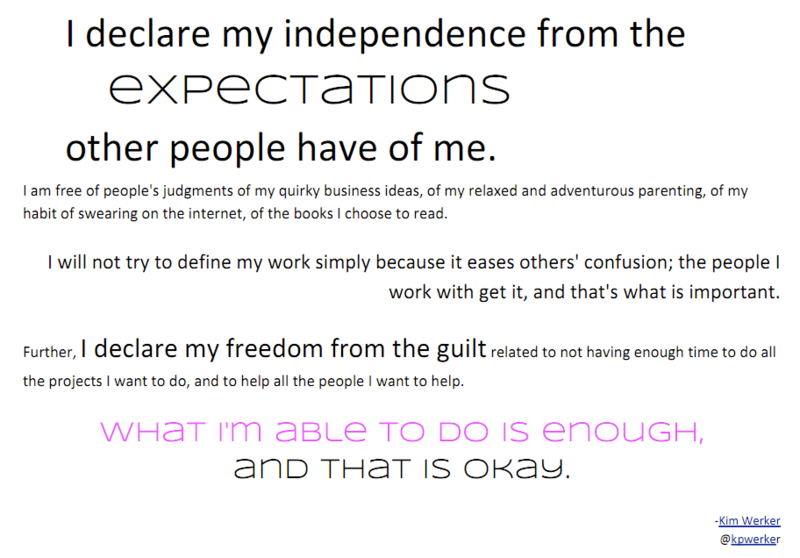 So my dears, what are you declaring your independence from? your declaration was lovely! great sentiment, and one that i’m working on accepting for myself!